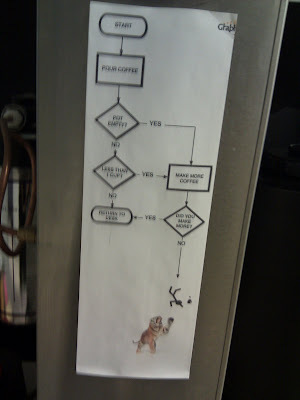 I think the flow chart on the coffee machine is broken. I for sure came upon an empty coffee pot today but failed to see any remains from the depicted tiger mauling. I'm starting to think he might not exsist. Pacman Call - Lady wants it disabled from google.